Members of Americans for the Arts, the leading organization for advancing the arts and arts education in America, have elected Lisa Scails, Executive Director of the Cultural Alliance of Western Connecticut, as a member of their advisory council for the Private Sector. Lisa will advise Americans for the Arts’ staff on developing programs and services that will build a deeper connection to the field and the network membership. Serving on the Private Sector Council, Lisa will work with fellow arts leaders to develop and implement private-sector advocacy programs and to serve as leaders to other local arts agencies seeking to connect with the private sector. The Private Sector Council and the network it serves, including Arts & Business Councils, Business Committees for the Arts, United Arts Funds, and Local Arts Agencies, promotes the message that business support for the arts is integral to the success and longevity of the arts, and essential in building communities in which the business sector can thrive. Potential council members were nominated in mid-September and were voted on by members of Americans for the Arts through November 14, 2016. Lisa will serve a three-year term, from January 1, 2017 to December 31, 2019. 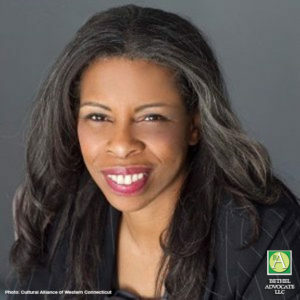 Kristina Newman-Scott, Director of Culture for the Connecticut Office of Arts and Tourism, has also been elected to serve on the Private Sector Council.